Happy Monday, guys! Let’s make this week a good one. I celebrated a special anniversary this weekend. 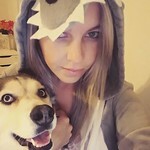 Can you believe it’s been a year since I stalked the rescue group for a week before deciding to go pick her up?! 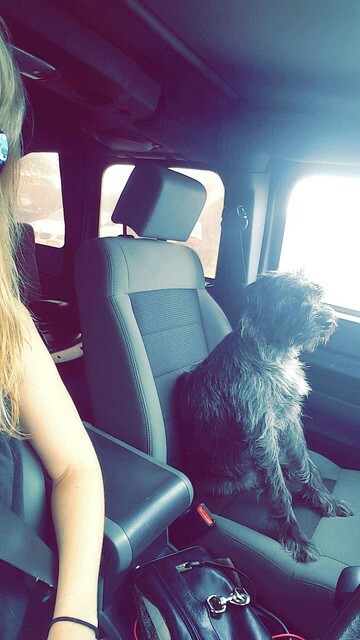 In the last year she’s… broken her leg, roadtripped through Texas, Louisiana, Mississippi, and Alabama, torn up a lot of cardboard boxes, grown 3 times the size the vet thought she’d be, and walked around the neighborhood approximately a million times. 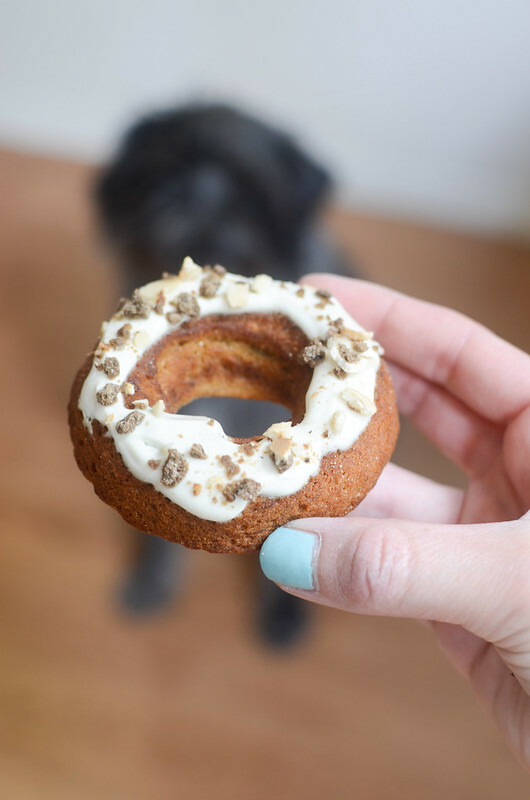 I made these Peanut Butter Dog Doughnuts to celebrate her special day. They have bananas, peanut butter, honey… you know, all the good stuff. Plus a Greek yogurt frosting and crumbled dog treats on top to look like sprinkles. I can’t say for certain how tasty they are but the dogs seemed to enjoy them! PS. 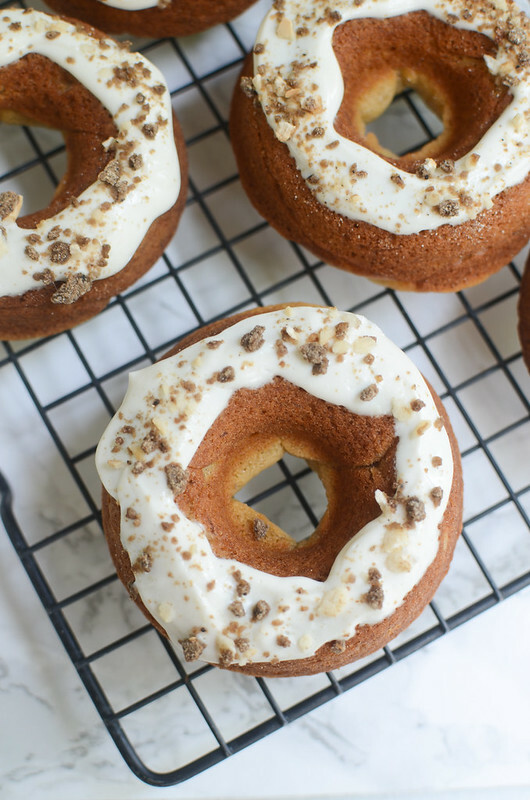 You could totally bake these as cupcakes if you don’t have a doughnut pan. Just bake for 20 – 22 minutes instead. Preheat oven to 350F. Spray a doughnut pan with baking spray. 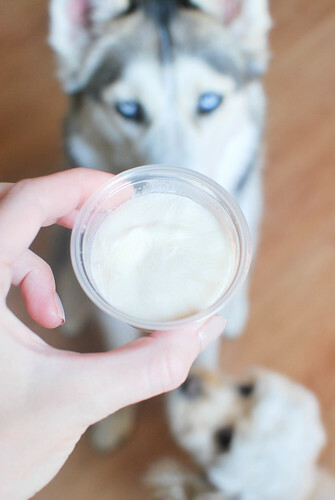 Beat peanut butter, vegetable oil, banana, honey, and egg until combined. In a separate bowl, whisk together flour, baking soda, and baking powder. Slowly add the dry mixture to the wet ingredients and beat until just combined. Transfer the mixture to a ziploc bag, snip off a corner, and pipe the mixture into the doughnut pan. They should be about 3/4 full. Bake 8 - 10 minutes or until browned and a toothpick inserted into doughnuts comes out clean. Invert onto a wire rack to cool completly. To make the frosting, stir together the Greek yogurt and honey. 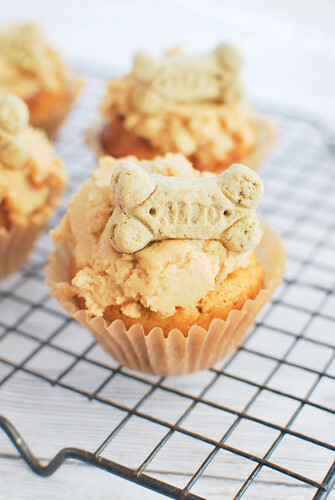 Spread the frosting onto cooled doughnuts and sprinkle the smashed dog treats on top. 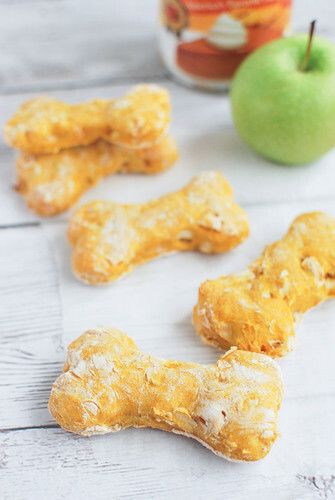 Want more homemade dog treats? 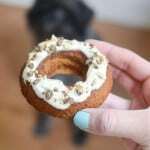 2 Responses to "Peanut Butter Dog Doughnuts"
Thanks for sharing! It would be fun to make with kids!